SANTA ROSA, Calif. -- Like a little wine with your golf? 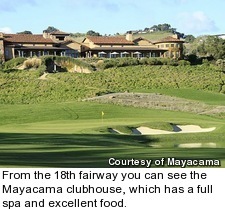 If so, you will love Mayacama. To say Mayacama is the best golf course in California wine country is like saying Disneyland is the biggest amusement park in Anaheim -- a gross understatement. 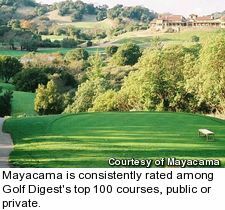 No other public or private course in the area comes close to Mayacama, which is consistently rated among Golf Digest's top 100 courses -- public or private -- and was named the fifth-best residential course in the country by Golfweek. The Jack Nicklaus signature golf course at Mayacama, which is private, is walking only and offers an excellent caddie program. Since the gated community is very low-density, you don't see a lot -- except for wilderness. As the course climbs, drops and weaves through much pristine nature -- with many holes isolated from all others -- you see plenty of wildlife, including deer and wild turkey, all over the place. The layout has a nice mix of holes with plenty of strategic value and risk/reward decisions. Take the par-5 18th, for example. An unseen lake on the right lurks just at the edge of the range of big hitters. Those who play aggressively near it can reach in two -- all carry over water to a well-bunkered and elevated green on the second shot. Even the safer three-shot approach requires a carefully placed lay-up down the narrow left side. 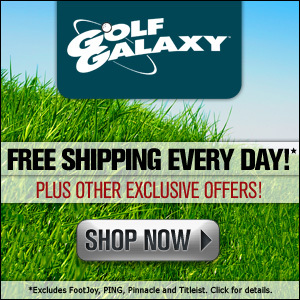 It's the kind of golf course even the most active members will not bore of playing over and over. Located in the heart of Sonoma, just outside Santa Rosa, Healdsburg and Windsor, the club offers easy access to the best restaurants, shops and wineries of the region. As a homeowner you really never have to leave. There is a pool and tennis courts, and the clubhouse has a full spa and excellent food. The club also offers a very impressive wine program. Since it is the best course in Sonoma or Napa, any high-powered vintners who love golf belong here. Members get their own climate-controlled wine lockers under the clubhouse with the option of buying carefully pre-selected packages to stock it. Most members, however, do not live here, since all the vintners and many other golfers already have homes in nearby wine country or live in the area full-time. The second-home market is more appealing to Bay Area residents just more than an hour away as well as those from all over the country. "We are the only private golf course of consequence in northern California's wine country, and probably always will be. The land is just too valuable, the environmental requirements too strong for something of this size to be developed," said Art Buck, managing broker for the community. "There are only 31 home sites inside our gates, and that's all there will ever be. In the last 12 months, the market has really heated up. We sold four finished homes averaging $3 million, all cash deals, and sold two sites for $925,000 and $950,000. Both are under construction as we speak." Currently, there is just one finished home for sale, and six lots, all resales, on the market. Buck said these include some of the very best sites that were sold early. The remaining home is offered at $4.295 million and includes three en-suite bedrooms, indoor and outdoor kitchens, and dining and living areas. It has state-of-the-art gourmet appliances, a study, pool and hot tub, library/media room and an interior of carved limestone, including fireplaces, all on a very private 1.25-acre lot. The remaining building sites range from $795,000 to $975,000 and 1.07 to 3.94 acres. 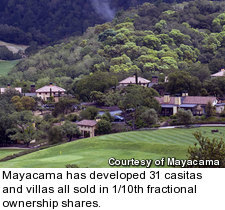 But there is an easier way to own a piece of Mayacama paradise. The club has developed 31 casitas and villas, run as sort of a destination club, all sold in 1/10th fractional ownership shares. The casitas are one bedroom, one-and-a-half baths, and the villas are three bedroom, three-and-a-half baths. They are all within walking distance of the clubhouse. Each share costs $250,000 and includes 35 nights of annual use in either a casita or villa, which are fully furnished and serviced in the style of a five-star hotel or resort, and golf membership. 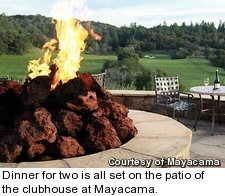 This is the quick way to enjoy the best of everything Mayacama offers in terms of golf and wine country living. Half (16) of the units are built, and a second phase is planned. For those who live more than 150 miles away, a national golf membership is also offered for $115,000 with no real estate.